Dogleg Right’s mission is to create the highest quality, new and innovative products and technologies to improve your success and enjoyment of the game of golf. 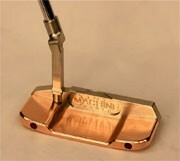 This dream and journey started in Dave Billings’ kitchen, den and garage in 1994, and now more than 18 years later, is still being chased and realized, at our Plano, Texas headquarters where we now have our own CNC and manual mill shop, and where we strive to make the finest putters available on the planet. Over the years, hundreds of thousands putters, grips and other clubs have been invented, designed, manufactured, built and shipped to golfers all over the world, including all 50 states and 36 foreign countries. Ten Hall of Fame golfer and over 140 other tour pros have used Dave Billings’ innovative Dogleg Right designs, and won 11 major tour titles along the way, as well as countless other successes, awards and accolades. The new MACHINE Putters are the culmination of many years of R&D and a very significant amount of passionate work, helped along by the tremendous support from friends and customers. We are very excited to offer “The Ultimate in Custom Putters”™ and provide you with the very best in quality and service, and more custom choices, design options, personalization and unique features and benefits not available from any other maker, big or small. 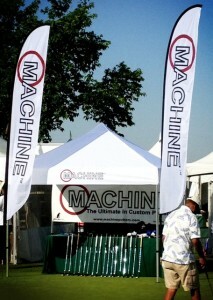 We will always strive to make your MACHINE Putter the best ever.